Blackhead removal is an essential part of any beauty routine to enjoy bright, radiant and healthy skin. Blackheads are pores that are partially blocked by dead skin cells, bacteria, and oil. 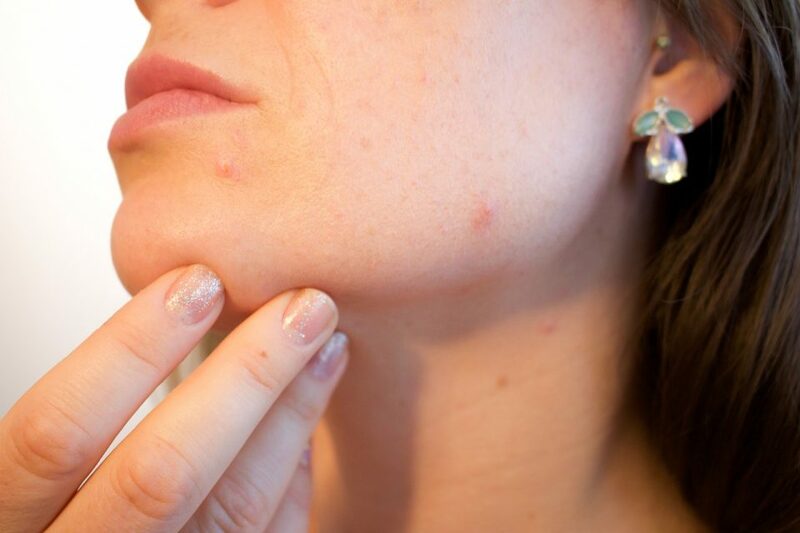 They are a mild type of acne which usually forms on your face. The contents of the blackhead are close to the pore and turn black when exposed to air. The blackheads do not cause serious problems but may cause psychological problems such as depression, anxiety, and poor self-image. And drugs such as corticoids, androgens or lithium. If you have blackheads, avoid popping, rubbing, squeezing, picking or touching the affected area. Your healthcare provider may recommend prescription medications or over the counter medications depending on the situation. You can apply it topically or directly to your skin. Antibiotics. They work by clearing your skin of acne-causing bacteria and reducing inflammation. There are several topical antibiotic creams, solutions, gels pads, and lotions available on the market. Benzoyl peroxide. It works by destroying the bacteria that produce acne. Benzoyl peroxide takes at least four weeks to work. You must use it continuously to keep acne at bay. Salicylic acid. It helps to treat the abnormal shedding of cells in your skin. Salicylic acid helps to unclog pores and prevent lesions. It does not kill bacteria or affect sebum production. You must use it continuously to prevent blackheads. Retinoids. You can either use it as a topical or opt for oral drugs. When you use topical retinoids, they clear up moderate to severe acne by normalizing the way your skin grows and sheds. They don’t have the severe side effects associated with oral retinoids. Sulfur. It is used in combination with other substances such as salicylic acid and alcohol. Sulfur is not used by itself because it causes an unpleasant odor. It is used along with other over the counter medications. It’s not clear how sulfur works but has only marginal benefit in most cases. For quick blackhead removal at home, you need to focus on clearing out the entire blockage of sebum and not just the black oxidized section. Take a soft cloth and hot water and gently apply a warm compress to your skin. The action of heat will open up your pores making it easy for the removal of blackheads. Allow the warm compress to remain for five to ten minutes. Gently apply a blackhead removal strip to your face quickly while your skin is still moist. The presence of moisture will help the piece to adhere firmly to the surface. Let the strip remain in bonding for ten to fifteen minutes. Pull the strip off. You may notice that some blackheads are entirely removed while the others partially removed. Gently squeeze your skin with your fingers and not your fingernails. If the blackheads do not come out, avoid pressing it harder. This action might harm your skin. Again apply a hot compress and touch your skin once more. If you don’t remove the blackheads by the first and second squeeze, then it means you cannot remove it with your fingers. Slowly apply salicylic acid cream or liquid onto your skin. Salicylic acid gets deep into pores and breaks down sebum oil. Apply hot compress after using salicylic acid. Try squeezing out more blackheads. Peeling off a blackhead mask will make your skin radiant, firm and free of blackheads. Face masks are super cool to use and give you the spa experience at home. These masks effortlessly remove dead skin cells, and dirt. They tighten pores and boosts the blood circulation to your face. Ultimately, your face glows with a new layer of skin. Orange peel is rich in antioxidants and fights free radicals. It prevents premature aging of your skin. Being rich sources of vitamin C, oranges impart a healthy glow to your otherwise dull skin. Mix two tablespoons of gelatin with four tablespoons of orange juice. Create a makeshift double-boiler. Put some stones in a large saucepan and fill it up with one foot of water. Slowly keep the glass bowl in the middle of the pan. Gently heat the mixture until the gelatin powder mixes thoroughly. Remove the orange facemask from heat and let it cool. Don’t leave it until the gelatin becomes a solid. Apply three thin coats of this mask to your clean face. Allow the blackhead mask to dry completely. Pull it off and wash your face in the water. Apply a light moisturizer to your face. Tip: Apply this mask once a week for bright, healthy skin. Bentonite clay is a mineral rich healing substance used for centuries to treat skin problems and help with blackhead removal. When the clay is wet, its molecules become electrically charged. They draw out oil or other impurities blocked in your pores. When you put on the mask, your skin draws in all the nourishing minerals that the clay has to offer. Simultaneously the clay draws out the blackhead. Mix the water with the bentonite clay to form a thick paste. Gently apply the mask with your fingertips all over your face. Let it sit for fifteen to twenty-five minutes. Rinse off with lukewarm water and moisturize as usual. The clay leaves behind soft, supple and radiant skin. Proper cleansing methods are the first line of defense against blackheads. Proper skin hygiene can keep your pores unclogged and blackhead free. Listed below are the steps that will assist with blackhead removal and prevent skin infections. Purchase the products according to your skin type. Perform this nightly ritual every day before you hop into your bed. Remove your makeup using your wipes or makeup remover. Check if your water temperature is warm. Apply the cleanser according to your skin. Massage it in a circular motion. Rotate your hands outwards from the center of your face for at least one minute. Prioritize your nose and forehead as these areas secrete a lot of sebum. Make sure you clean your jawline and hairline. Splash warm water on your face to remove the cleanser. Apply any prescribed over the counter treatment to get rid of acne and blackheads. Repeat twice daily for stunning results. First, when using any technique for blackhead removal, be sure to prevent vigorous scrubbing and cleaning of your skin. Second, try to avoid using very hot or cold water while washing your face. Even more importantly, avoid the use of exfoliants, toners, strong soaps or scrubbing pads. Also keep in mind, never pop, squeeze, rub, touch or pick your affected areas. Try not to get tanned or sunburnt, either. Finally, never use pore-clogging skin care products. Blackheads are a nuisance when it comes to skincare. However, they are not too difficult to treat but it’s essential that you stay alert and follow your skin care routine religiously. Take care to eat a healthy and nutritious diet. You should also sleep well and exercise regularly. All these lifestyle changes will give you beautiful and radiant skin.